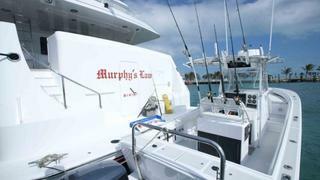 The spacious Murphy’s Law was built by Delta Marine. 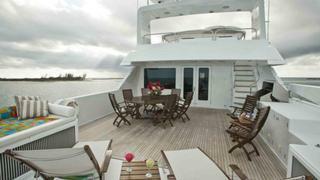 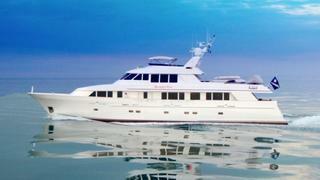 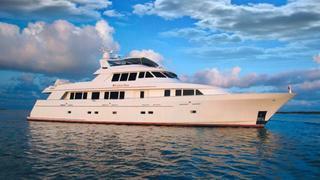 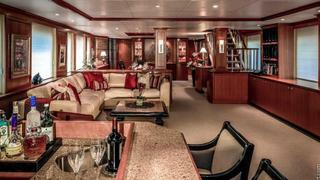 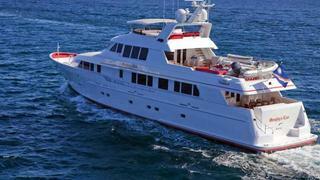 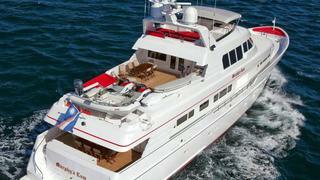 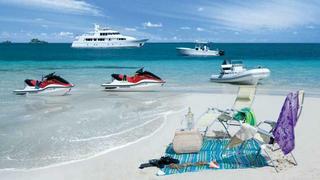 Refitted in 2006, the superyacht is an impressive exercise in scale and luxury. 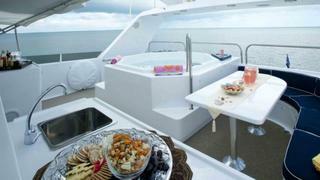 Luxury features include a Jacuzzi and sun lounge area on the flydeck and spacious and elegant accommodation for 8 or more guests. 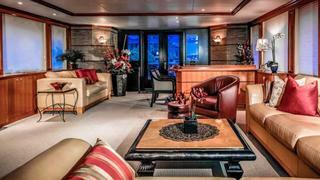 The interior has accents of varnished wood and pale furnishings, giving the feel and comforts of a modern home on board your private yacht. 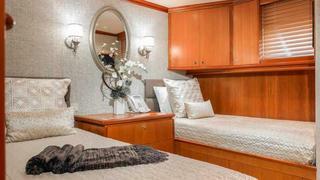 The master stateroom features a kingsize bed and a walk in cedar lined closet, as well as his and hers heads and a full entertainment center. 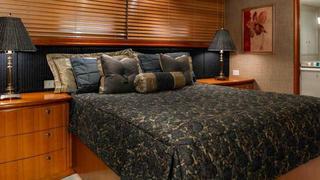 The VIP stateroom features a queen oversized bed, with an ensuite head. 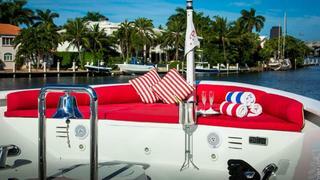 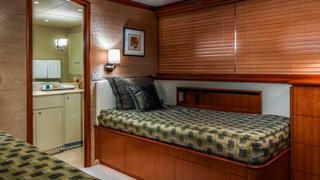 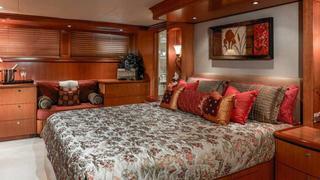 Directly across from the VIP is the guest stateroom, with two twin beds and afull sized Pullman bunk. 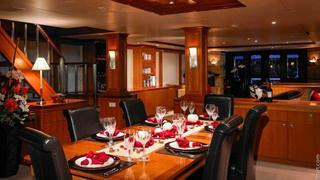 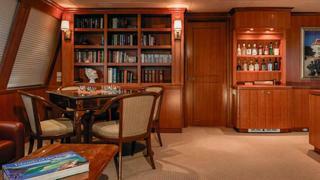 The additional guest stateroom below has the same array of features. 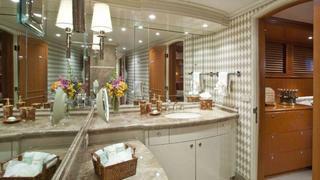 All guest rooms have full entertainment systems. 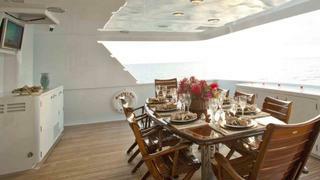 Murphy’s law has space for 5 crew, as well as numerous dining areas and spaces to gather, making her the ultimate in comfort afloat. 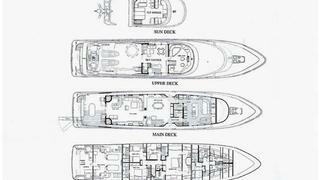 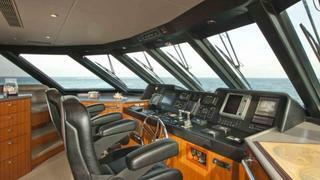 She cruises at a speed of 12 knots, with a maximum of 16 at full speed.